Prebiotics vs Probiotics - What is the Difference? Home » Food and Nutrition » Prebiotics vs Probiotics – Is One Better Than the Other? Probiotics have become a major feature in today’s version of a healthy lifestyle. Simply put, they are healthy bacteria that live in your gut and have the potential to boost health in a number of ways. But less talked about are prebiotics. Prebiotics essentially act as food for your gut bacteria, stimulating and nourishing the population so it stays alive and active. The combination of prebiotics and probiotics works to enhance a healthy, effective microbiome that can influence gut health, mood, inflammation, digestion and more. Probiotics are “friendly” bacteria. They help your digestive system work efficiently—both to digest and absorb nutrients and to remove toxins. They are live bacteria that are found in food and supplements, most often in fermented foods like kefir, kimchi, pickled items, and some others, to promote gut health. The most common strains are Lactobacillus and Bifidobacterium. They’re important because in today’s standard American diet, many people simply aren’t able to diversify their microbiome, the ecosystem of microorganisms (mostly bacteria) that inhabit the digestive tract. Sugary, processed, and greasy foods; a lack of vegetables and other fibrous items; environmental factors; and certain medical treatments—like repeated exposure to antibiotics—can kill the helpful gut bacteria and homogenize the population. Including probiotics in your diet can help inject some healthy bacteria into your gut, diversifying the population and potentially circumventing some of the common side effects of a poor diet. Probiotics also may help people with specific digestive conditions like Crohn’s disease and irritable bowel syndrome. Having good bacteria in the gut aids health because it can protect you from the effects of harmful bacteria. Harmful bacteria can lead to illness and other acute conditions, but a homogenized population can also contribute to chronic inflammation, thereby increasing the risk of certain cancers, heart disease, and more. As mentioned, prebiotics act as food for your gut bacteria and often come in the form of non-digestible carbohydrates. Therefore, prebiotic is, in a way, another way of saying fiber (yet it does include some other non-digestible carbohydrate forms). When you eat fiber—found in fruits, vegetables, and whole grains—your body doesn’t break it down the same way it does other vitamins, minerals, and nutrients. Instead, fiber remains intact and becomes a feast for your gut bacteria in your colon. So, although your body isn’t really digesting the fiber and using it as fuel, your gut bacteria are. They then use that fuel to carry out various functions in your body. Without prebiotics, your microbiome can be a very disordered, cannibalistic place. It’s extremely important to highlight the benefits of a diet high in fiber. It’s typically associated with better digestion and a lower risk for heart disease, diabetes, and other chronic conditions. Fiber intake is also directly related to cholesterol and blood pressure levels. It’s highly likely that these benefits are carried out, at least in part, by the bacteria in your microbiome. Just like you, with proper nutrition, gut flora tends to function more effectively. Prebiotic foods are non-digestible and make their way through your intestines. They’re the foods that feed and nourish the growth of probiotics, so they’re actually the first line of defense against harmful bacteria. By feeding probiotics, prebiotics help strengthen the good guys in your intestinal bacteria. Probiotics have the potential to offer a wide range of benefits to humans. So far, researchers have identified specific strains that are useful to the general population, and they are continuing to discover how various strains can benefit people with specific conditions. Dosing is also a current area of exploration. The biggest benefit of probiotics is that they provide a balance—or a defense mechanism—against pathogens, which include harmful bacteria. This balance is essential for normal function. Probiotics have shown potential health benefits in both human and animal studies. But there is still work to be done to identify their full potential and increase the medical community’s understanding of them. As such, it’s not guaranteed that simply taking a probiotic supplement every day or including a probiotic-rich food source in your daily diet will automatically lead to benefits. Factors will include the strain, dosage, overall diet, how long your microbiota has had a certain population, and many others. Repopulating the bacteria in your gut is a process that takes time and, most likely, more than popping a few pills and eating yogurt. But the more we learn about how gut health and a diverse, healthy microbiota impacts a variety of bodily functions and conditions, the more intriguing they are as potential prevention and treatment tools. As mentioned, prebiotics are food for your gut bacteria and are non-digestible carbohydrates. Typically, they are types of fiber; however, there are some others. Because prebiotics are the fuel for healthy gut bacteria, their benefits are inherently tied to fiber. Many of the benefits associated with prebiotics are are also noted in high-fiber diets. This makes sense because fiber is a non-digestible carb. It’s also most often found in “healthy” diets. The standard American diet is very low in fiber, and most of those who follow it—in fact, most Americans—come up well short of the minimum recommended daily intake (28 grams for women, 38 grams for men). Increasing your intake of prebiotics, which can be done rather easily by eating more fruits, vegetables, and fortified foods, and reducing your intake of processed foods is really the key to enhancing the effects of your gut microbiota. Gut bacteria exist on what you feed them. Therefore, if you’ve cultivated a population from processed food low in fiber and prebiotics, changing your diet to include more fiber, fruits, and vegetables will eventually kill off some of the bad bacteria. In their place, the good bacteria will be fed what they need and, ideally, eventually grow to dominate the gut. By feeding your flora non-nutritious foods, essentially, it will remain harmful. Feed it the good stuff, and it should follow suit. The Japanese have been using prebiotics for years. Because prebiotics are relatively stable and can withstand food processing, a commercially prepared prebiotic has been added to infant formulas, as well as many adult foods. It might not be necessary, after all, to ingest billions and billions of friendly bacteria in the form of probiotic supplements. You may simply need to boost the growth of the good bacteria already in your gut by making sure that you’ve added a dose of prebiotics to your diet. And when you nourish this growth, that could mean better health for you. If you’ve ever eaten plain yogurt and put berries or banana in it, you’ve taken a prebiotic and a probiotic together. This is also true if you have leafy greens in your miso soup. The two work synergistically, so it is safe to take the two together. That said, there is unlikely any benefit to taking them at exactly the same time, and either can be consumed on its own throughout the day. The more important thing is that you’re getting them at all. If you elect to take supplements instead of making dietary changes, you could be wasting your money. If you elect to take a probiotic supplement to enhance your dietary efforts or treat a condition, talk to your doctor first. Prebiotic supplements likely aren’t needed—just make a better effort to swap out processed foods for nutritious, fiber-rich options. In the cases where appetite is an issue, look for prebiotic or fiber-fortified items. You can also purchase “synbiotic” supplements, which include both prebiotics and probiotics in a single dose. Marketers insist that it improves the viability of each portion, but it’s hard to say if that’s true. It should be noted that if you choose to try these supplements, the prebiotic compound should selectively favor the probiotic compound. Generally speaking, supplementing with commercial prebiotic and probiotic supplements is safe for healthy people. There may be some rare cases in which a healthy person experiences illness after taking a specific bacterium. Because commercial-grade supplements are not regulated by the Food and Drug Administration, they have not been evaluated for or upheld to strict safety measures and standards. 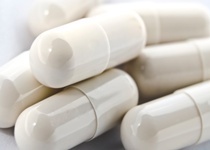 It’s possible that you may have an allergic reaction to a probiotic supplement, which is usually marked by hives or stomach pain immediately after taking it. Stop taking it and call your doctor if this happens. Prebiotics and probiotics are truly a dynamic duo because they work together to optimize your health. If you elect to take a probiotic supplement or include more probiotic foods into your diet, the effect will be short-lived without ensuring the bacteria are getting the food they need to function properly. The probiotics can only be allowed to flourish with prebiotics, high-fiber foods that allow them to repopulate and do their job to promote your overall health and well-being. Think of your stomach as a fishbowl and a probiotic as a fish. You can put the fish into the bowl full of water. If you don’t feed it, however, it will die. The prebiotic is the fish food it needs to survive, grow, and flourish. Markowiak, P. and Śliżewska, K., “Effects of Probiotics, Prebiotics, and Synbiotics on Human Health,” Nutrients, 2017; 9 (9): 1021; https://www.ncbi.nlm.nih.gov/pmc/articles/PMC5622781/, last accessed April 9, 2018. “13 Great Probiotic Foods You Should Be Eating,” Dr. Axe; https://draxe.com/probiotic-foods/, last accessed April 9, 2018. “Why Prebiotics are Essential to Your Heart Health & Immune System,” Body Ecology; https://bodyecology.com/articles/prebiotics_essential_to_heart_health.php, last accessed April 9, 2018. Anderson, H., “Digestion Questions: Prebiotics vs. Probiotics, and Why You Need Enzymes,” Well Labs, April 3, 2017; https://mywelllabs.com/blogs/news/digestion-questions-prebiotics-vs-probiotics-and-wtf-are-enzymes, last accessed April 9, 2018. “Prebiotics and Probiotics: Creating a Healthier You,” Eat Right Pro, February 27, 2017, Reviewed by Taylor Wolfram, MS, RDN, LDN; https://www.eatright.org/food/vitamins-and-supplements/nutrient-rich-foods/prebiotics-and-probiotics-creating-a-healthier-you, last accessed April 9, 2018.